Is Digital Diplomacy Really Cost Effective? 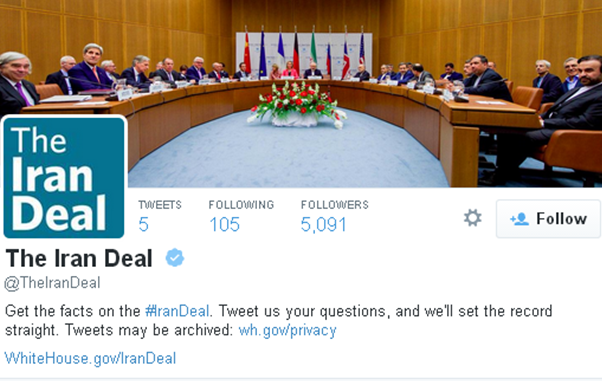 On Tuesday, the White House launched a new twitter channel (@TheIranDeal) in an attempt to bolster domestic and international support for the agreement reached between the P5+1 and Iran regarding the latter’s nuclear weapons program. According to Politico, this is the first time the Obama administration has launched an issue specific twitter handle. US officials stated that the new channel is but one component of broader social media strategy aimed at promoting the agreement. Perhaps most importantly, the channel is meant to serve as conduit through which the administration will be able to address concerns and confront critics of the agreement. 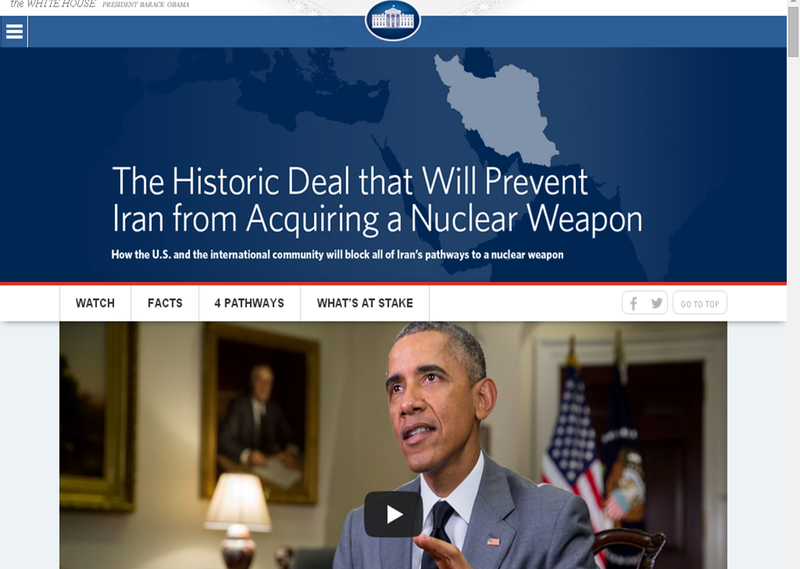 To that end, @TheIranDeal will not only include information on the agreement but will also host online chats. “We want this to be a clear signal to our supporters that we are actively engaged in this debate”, said one official adding that they are going to “take” the critics “head on”. The Obama administration’s social media strategy caused me to ponder the cost effectiveness of digital diplomacy. When one analyzes the digital diplomacy research corpus, he finds that the issue of “cost effective diplomacy” is a major concern for foreign ministries facing continuous budget cuts and competition from other governmental departments whose mandate now calls on them to engage with foreign partners (e.g., energy ministries working on climate change). Advocates of digital diplomacy assert time and again that digital diplomacy enables MFAs to disseminate information, manage their nation’s image and engage in debates with global audiences at reduced costs. While this is true, one has to bear in mind that mere presence on social media, or the internet, is not enough. Foreign ministries, embassies and diplomats looking to realize the potential of diplomacy must supply followers with updated information, promote content that may attract followers, respond to queries and be committed to the idea of two way communication. In the case of an embassy this translates into a full time job for one of the employees. But this is rarely the case. Social media is usually the burden of an overworked and understaffed communications officer. More to the point, what happens when we examine the costs associated with maintaining the social media presence of an entire MFA, rather than a single embassy? In 2012, it was estimated that the US State Department’s digital diplomacy mechanism included more than 288 Facebook profiles, 200 Twitter accounts and 125 YouTube channels. Fergus Hanson stated that these amount to a global media empire. According to the 2014 Annual Report of the US Advisory Commission on Public Diplomacy, this media empire has grown by nearly 50% and includes some 1,000 social media accounts that need continuous monitoring and updating. While Hanson was right to call this en empire, he did not calculate the costs associated with managing such an empire. According to the Advisory Commission on Public Diplomacy, in 2014 the Office of the Under Secretary for Public Diplomacy and Public Affairs received an annual budget of 6.72 million dollars. This includes the budget allocated to managing the State Departments “flagship” social media accounts such as @JohnKerry, @StaeDept, the Department’s YouTube Channel, Facebook page and Flickr page. This does not, however, seem to include the budget allocated to each US embassy around the world. The costs of digital diplomacy continue to swell when one adds the social media efforts of other governmental agencies that influence foreign policy, operate on a global scale or are part of a nations’ global brand. In the US this includes, among other, the Department of Defense, the Energy Department, NASA, the Central Intelligence Agency (CIA), the National Security Agency (NSA), the US marine corps, the Navy, the Air-Force, the Department of Homeland Security, the Center for Disease Control (CDC), the Department of Agriculture, the Justice Department not to mention all the channels operated by the White House, President Obama and the First Lady. So perhaps the question we should be asking is what is the total annual expenditure on social media by the entire US Federal Government or the Israeli government or the French government? It is important to note that the US is not the only nation to have numerous departments on social media. Qatar’s foreign ministry is on twitter as is it’s ministry of the interior, Ministry of Administrative Development, Ministry of Culture, Arts and Heritage, Ministry of Economy and Commerce, Ministry of Finance, Ministry of Environment and the list goes on. Many of these ministries also have Facebook, twitter and Instagram accounts (as seen in the image below). Nowadays, multiple ministries using multiple channels across multiple platforms seems to be the norm. The inevitable question this post ends with is- is the cost effectiveness of digital diplomacy more fiction than fact? That may depend on the sort of digital diplomacy one wished to practice. Digital diplomacy as was practiced by the US, Iran and Israel last week may be cost effective as it consists mainly of information dissemination through monologue sprinkled with well-crafted infographics, bullet points and videos. Digital diplomacy, such as the one promised by the @TheIranDeal, that engages in dialogue and is open to criticism is much more demanding in terms of resources and costs. Yet it is also much more effective and beneficial to nations the world over. Posted in Uncategorized and tagged cost effective diplomacy, costs, digital diplomact, Facebook, Iran, Israel, Qatar, Twitter, US. Bookmark the permalink. Reblogged this on Bottom line. Can Brand NASA Aid Brand America?